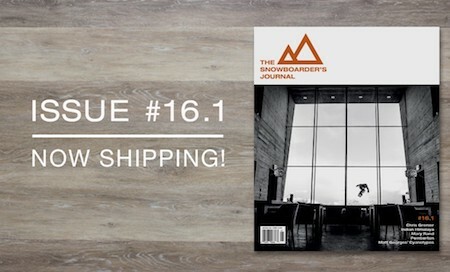 If you’re going to buy a snowboard magazine this fall, and we suggest it as you can read it without being bombarded by Google ads curated just for you (like the ones you see on the right side of this page), we suggest you start with The Snowboarder’s Journal Volume 16, Number 1. Then while you’re at it go ahead and subscribe. Click the link for all the goodness you’ll find inside.